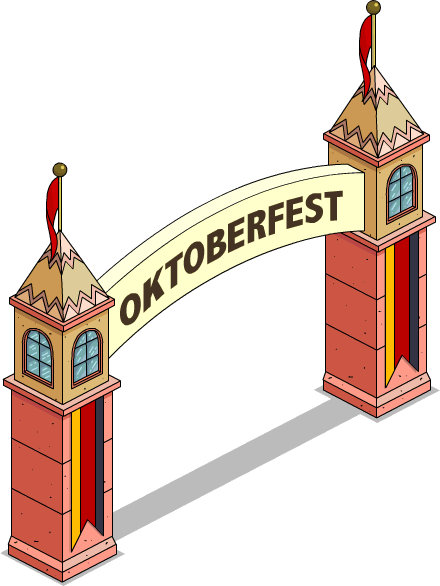 09/30/2015 10/04/2015 LetsPlayNintendoITA12 Comments on Oktoberfest Promotion! and IRS Drone are here! Oktoberfest Promotion! and IRS Drone are here! 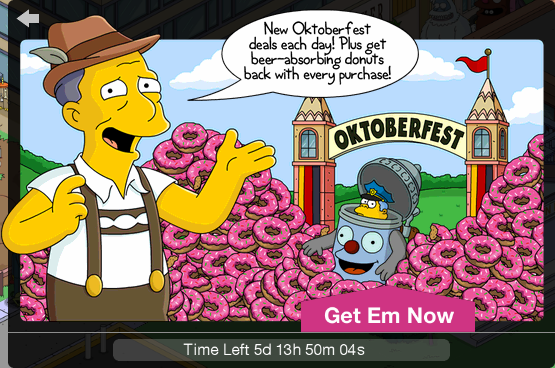 Gil returns with a Oktoberfest deal of german items and a new skin for Wiggum. Not just that either. The IRS Drone has finally arrived in the store in the Characters section! The end date of the deal, October 6th, seems the perfect for Halloween. Are you ready? Conform-O-Meter: Vanity – 500 pts. I just got the IRS Drone, but cannot find it anywhere. It’s not in storage, nor can I find it the the courthouse (where you look for other characters). Any help? 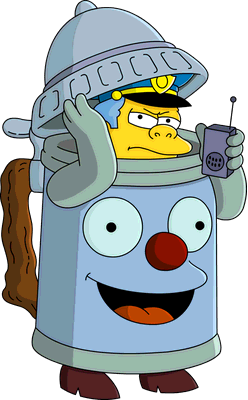 it’s an npc. it flies over the roads. I spent my 50 donuts for the Drone too – and don’t see it anywhere. I got a message saying it crashed into a house but have yet to see any sign of it. Feels like my 50 donuts were “stolen”. Finally found it – guess just not used to something so small. And another boo for the useless IRS drone. Previous Last hours for Statue of Burns and starting the Every Man’s Dream Tie-In questline!